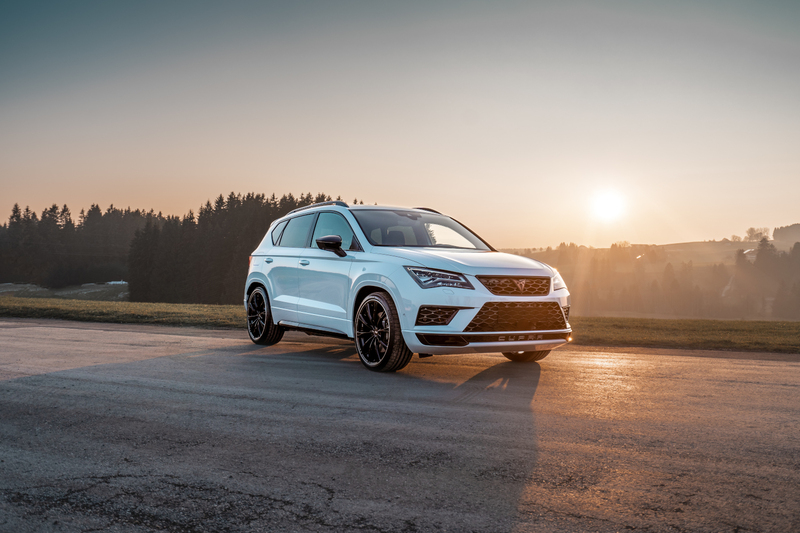 The CUPRA Ateca is the first own model of the new SEAT brand. ABT Sportsline accompanied the development of the sporty SUV and presents the CUPRA Ateca ABT for the first time. The SUV already delivers 300 HP (221 kW) and 400 Nm ex works. 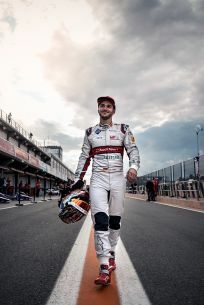 The sprint from 0 to 100 km/h takes only 5.2 seconds and the top speed is 245 km/h. 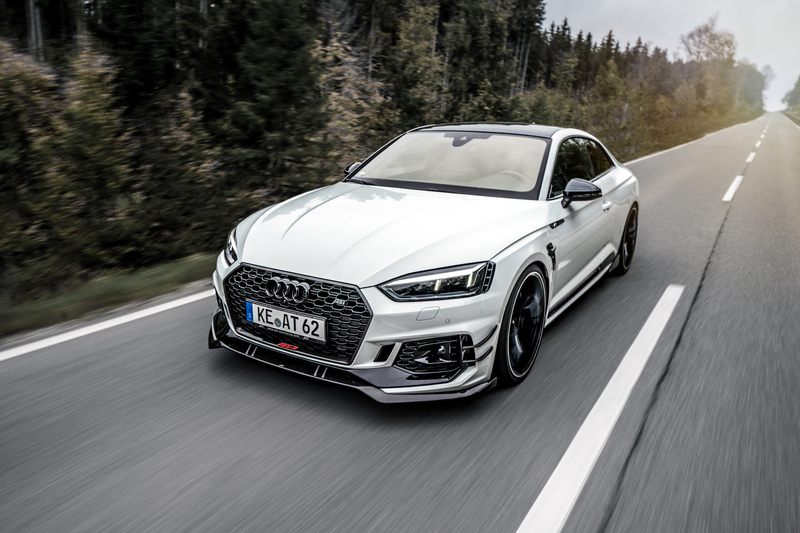 Following the ABT POWER upgrade, 350 HP (257 kW) is now available. The torque also rises to a smooth 440 Nm. The top speed of the CUPRA Ateca ABT is 255 km/h, 10 km/h more than the standard model. The standard sprint from 0 to 100 km/h is shortened by two tenths, so that the data sheet now contains a smooth 5.0 seconds. 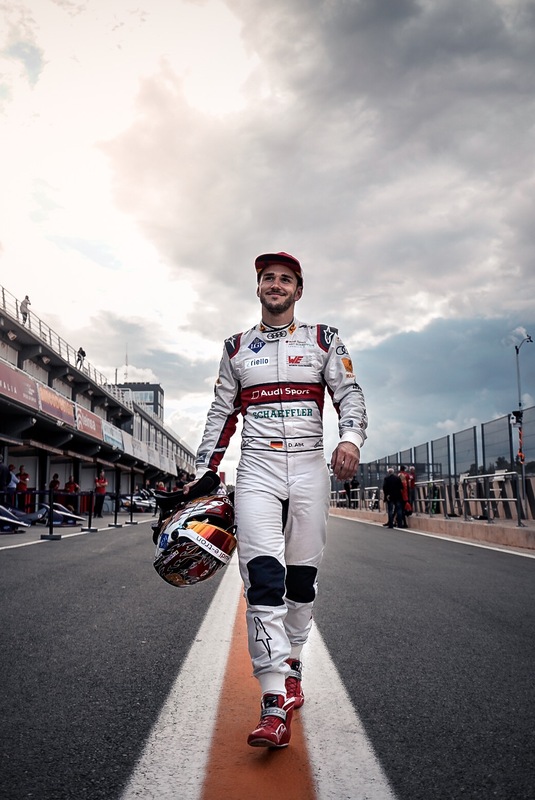 On Saturday, 01.12.2018 we plan an autograph session with Daniel Abt starting at 11 o'clock. 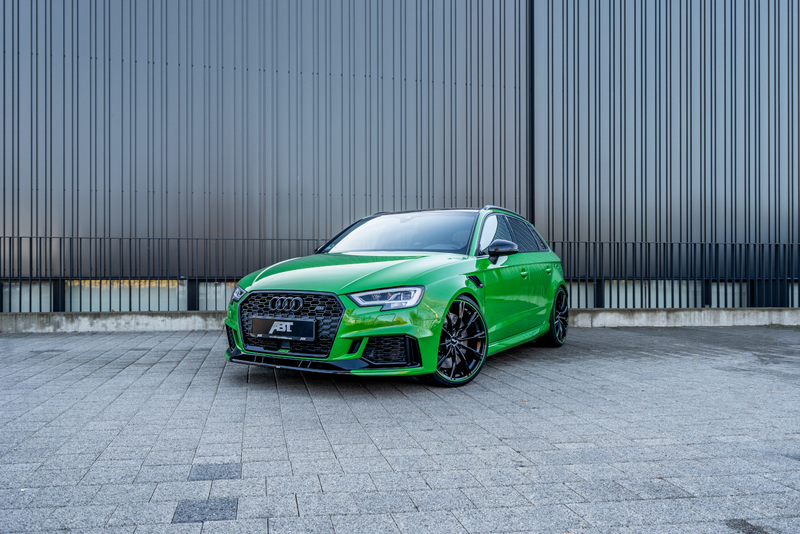 ABT Sportsline and the RS3 can be found at the joint area of Continental in hall 3, stand 3A41. ABT Sportsline and the RS5-R can be found at the joint area of Continental in hall 3, stand 3A41. 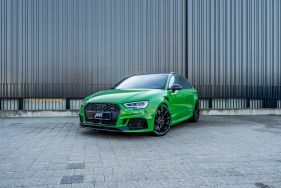 Compared to the hybrid station wagon ABT Audi RS6-E, of which there is currently only one specimen, even the rare Golf VII GTI Clubsport S almost seems like mass production. This car already impresses with the key figures of the internal combustion engine, which itself offers 730 HP (537 kW). If the driver wants to take the car's acceleration to the max, electric power from the transmission tunnel can be additionally used above 100 km/h. This releases an additional 288 HP (213 kW) and 317 Nm for a brief period. Overall, this results in a system power of 1,018 HP and 1,291 Nm. That is definitely hard to top. 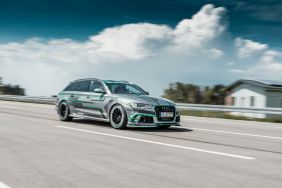 The RS6-E can be found at the AUTO BILD SPORTSCARS stand 3A25 in hall 3. 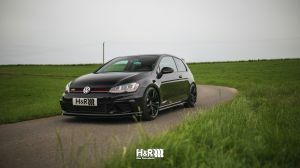 With the Golf VII GTI Clubsport S, H&R and ABT Sportsline present another compact rocket. 370 HP (272 kW) instead of 310 HP (228 kW) as well as a racing suspension turn this car into a real track tool. The forged rims of type ABT ER-F are an additional special feature. Even the production version is already a rarity, as only around 100 Clubsport S were ever sold in Germany. The GTI Clubsport can be found at H&R in hall 7, stand 7A10. The roots of ABT Sportsline go back to a farrier’s shop which was founded in Kempten, Bavaria, in 1896. Their most innovative product: A carriage which, thanks to a clever folding mechanism, could be used as a sled. Soon after, the focus turned to motor vehicles: From approx. 1920 on, AUTO-ABT sold and repaired the former brands, which later gave birth to the Audi AG. This set the stage for the company’s situation today. In 1950, Johann Abt, the founder’s grandson, won his first car race and laid the foundation for the company’s racing activities. But he also enjoyed fast cars in everyday life. For this reason he founded ABT Tuning in 1967, in 1978 he tuned the first VW Golf and already in 1980 he brought the first chip tuning product to the market. After that, things went very quickly. Finally, in 1991, the new prestigious company headquarters, which also includes an own museum, were established in the “Johann Abt”-Street. In 2014, a motor sport center was added.